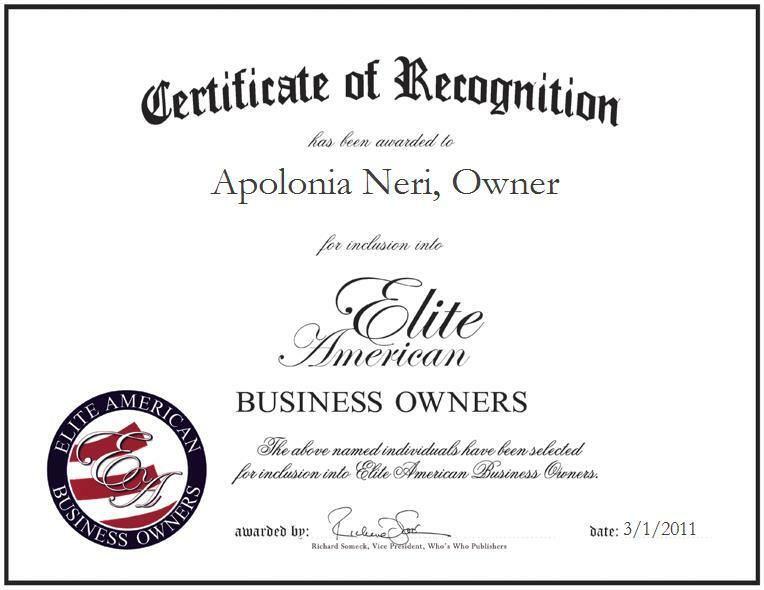 Sanger, CA, March 1, 2011, Apolonia Neri, owner of N&G Tax Service, has been recognized by Elite American Business Owners for dedication, achievements and leadership in financial and tax services. Celebrating 10 years of ownership of N&G Tax Service, Ms. Neri credits her success to her determined nature. She became involved in her profession after realizing the need for private practices to facilitate dedicated growth-oriented interests in servicing the public. Aside from tax services, she proudly provides a variety of services, including immigration filing, translation and notary public services. She also holds a bookkeeping certification from San Joaquin Valley College, which she earned in 1989.